2017 saw the rapid emergence of artificial intelligence in the IT industry. Among the conflicting views of many organizations and business leaders about the role AI and intelligent automation is going to play in the industry, Artificial Intelligence has quietly made an inroad into the top strategic priorities of CIOs for 2018. Chatbots using deep neural nets, predictive analytics, sentiment analysis using social media data, or recommendation engines have already proved to be a great mean for enhancing decision-making, reinventing business ecosystem, and remaking customer experience. According to a Gartner study about the state of AI enablement, 4% CIOs have already started deploying AI, and one-fifth of them are already piloting or planning to pilot AI in the short term. The bottom line is – Artificial Intelligence is here and here to stay – and that's the reality. Whether you are among the majority who are still planning to build AI strategy, or you fall among the privileged minority who are in a very early stage of AI deployment, your existing IT infrastructure can stand as a bottleneck and reduce your potential to maximize the ROI of an investment Artificial Intelligence. The mission-critical legacy applications may have served your business well but those needs to be modernized before you can unleash the full potential of intelligence augmentation in your business. Eventually, that takes our discussion to the next level – what are the best practices to be followed to ensure the success of IT modernization initiatives? CAST, which provides Software Intelligence for digital leaders, has been helping clients worldwide make their IT modernization journey a success. With its unique ability to perform system-level analysis and provide software intelligence insights to different personas in the ADM hierarchy, CAST proposes a 5-step modernization roadmap that helps organizations build a solid foundation for AI adoption. Gaining insight into the current state of application performance is probably the most critical aspect of the modernization journey. CAST provides visibility into the as-is application architecture and the real health of the legacy application in terms of Efficiency, Robustness, Security, Transferability and Maintainability while ensuring that IT execs and CIOs understand the status quo, enabling them to make intelligence decisions about modernization efforts. Making the application transformable is the next big step. There is no point propagating the existing application glitches to the to-be application. CAST helps the engineering team figure out and understand the critical violations in the as-is application and provides an effective remediation plan for fixing those critical defects before they begin application transformation. Once the application becomes transformation-ready, it’s time to think about the to-be application architecture. A solid architectural foundation helps in the long run, making the application stable, maintainable and most importantly cost effective. CAST helps architects determine the best-in-class architecture, a critical step towards building a solid foundation for the to-be application. The application is ready to be transformed by now and the to-be architecture has already been determined. The next step is to transform the legacy application and port it into modern languages and frameworks. CAST, with its industry standard (CISQ, OMG, ISO, OWASP, CWE) rule checks, ensures the transformation process follows best engineering practices. The final stage of the transformation journey is to validate whether the transformed application conforms to the intended architecture, is sound in health, industry compliant and secure. CAST’s Health dashboard, Engineering dashboard, and Architecture Checker come into play with meaningful insights for CIOs, IT execs, Architects, Engineering, and QA to help them validate the soundness of the transformed application. Out of these 5 steps, the final two are iterative in nature. Markets and Markets predicts the IT modernization market will grow to $16.67 Billion by 2022, a number that suggests IT modernization is essential to digital transformation and AI. While recognition is an important starting point, execution is equally significant. Creating a sound strategy and solid roadmap for modernization goes beyond maximizing the ROI of investment made towards AI adoption to enabling organizations to achieve a significant and sustainable competitive advantage. 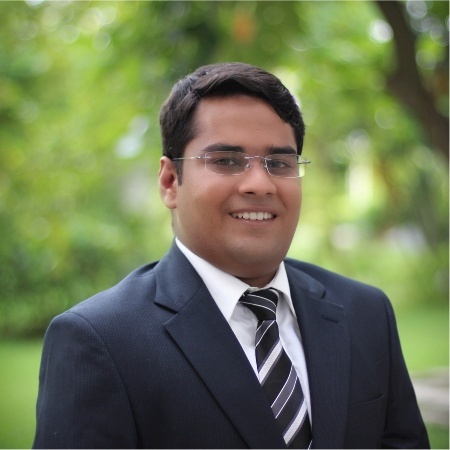 A global product manager, strategic marketing leader and an IIM Calcutta alumnus, Arka has vast expertise in end-to-end product management on a global scale.